The old MacDonald has now opened his farm to all the kids of the town to play, enjoy, learn and do so many different entertaining activities in here. You are also invited to join the fun in here will all the other kids over there. 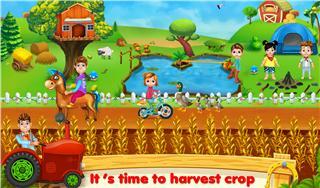 Get on your favorite horse and go for an amazing joy ride on it and collect all the coins on the way. Also dodge all the obstacles on the way by jumping over it. 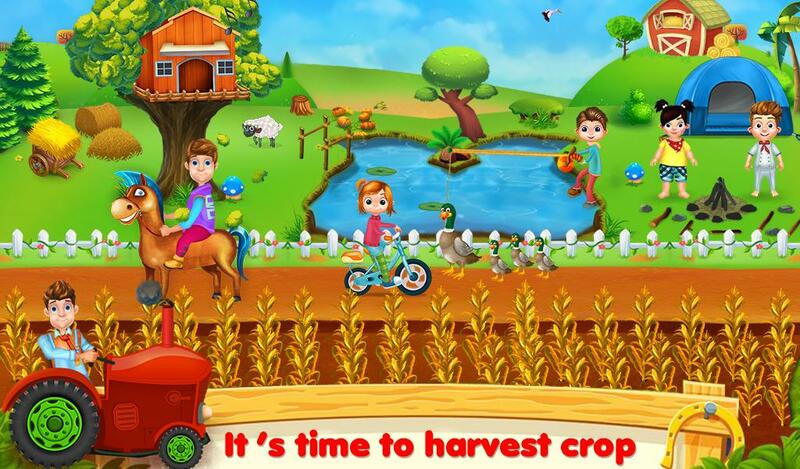 Enjoy farming on the field and collect all the crops with your vehicle. 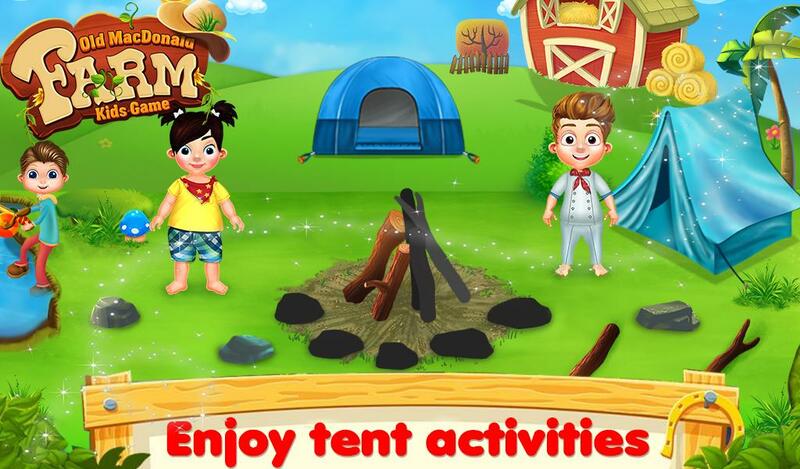 There are many different activities like playing on the tree house, playing in the tent and much more. 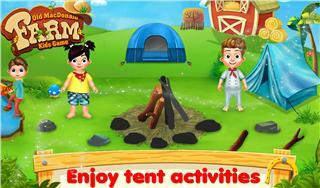 - Catch all the fishes from the pond with your fishing rod. - Enjoy the adventurous horse ride in the forest. 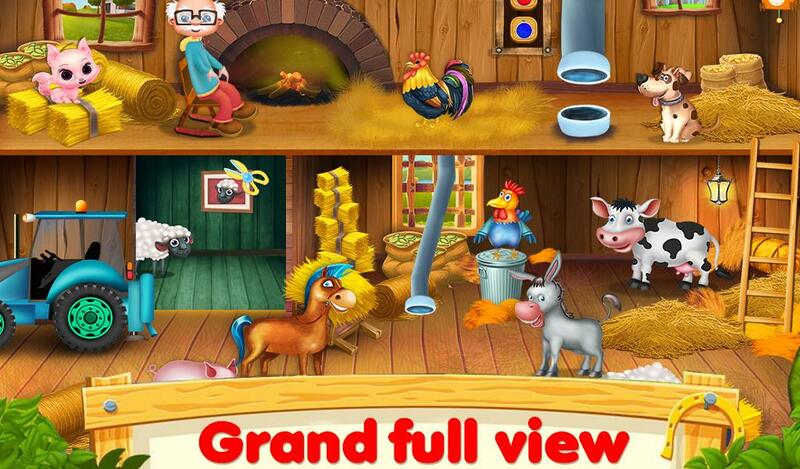 - Help the injured sheep with all the necessary medical attention that he requires. - Go on a cycle race with your friends and make sure that you win this race which is going to be really tough. 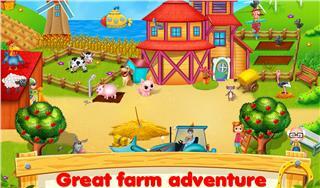 - Share this amazing game with all your friends and enjoy your entire day in the farm.